At the Welch Company you'll find two floors displaying our collection of carefully-curated gifts and home furnishings and accessories. We offer everything from original works of art to handcrafted jewelry to fine linens, pillows and throws, and lighting fixtures and tableware. The selection changes frequently. Stop in and see what's new. The softest towels in the beachiest colors from Matouk will dress up any bath. 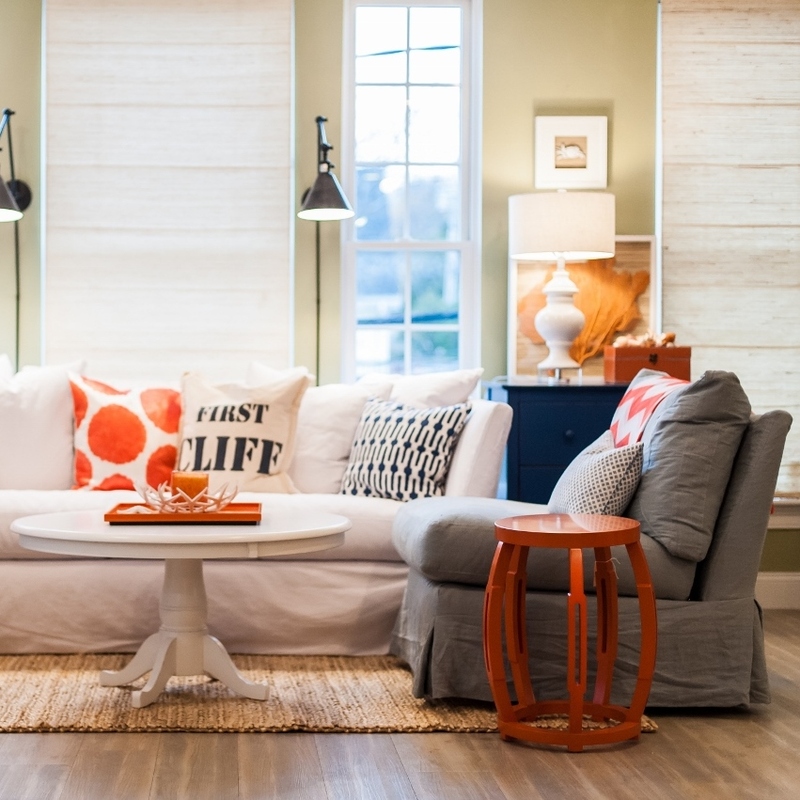 The easiest way to change a room's look is by swapping out throw pillows. Stop in and pick up something from the shop or have our interior designers custom create something just for you. The softest loungewear from Barefoot Dreams; throws and baby items too. An endless selection of gift items for virtually any occasion. We always have an extensive selection of items from Mariposa on display. Luxurious bed linens from Matouk and Sferra. We have a large selection of area rugs from Dash & Albert at the shop along with stacks of swatches for choosing a custom-made one. Handmade jewelry from Calli b. and KIM Sea Shells. Ceramic stoneware from Juliska, made in Portugal; absolutely beautiful and dishwasher, oven, freezer and microwave safe. The second story of our shop features an ever-changing array of vignettes created to inspire. American-made blankets and linens from Brahms Mount.